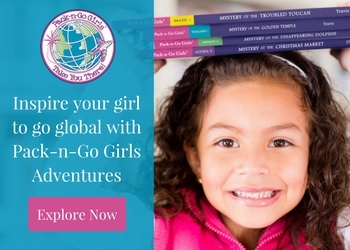 Do you know a young girl who loves mysteries and world travel? Does she excel at problem solving and investigation? Is she bored by the idea of sitting around at home this summer and does she crave adventure? Then she might just love the Pack-n-Go Girls® Adventures series! We’re proud to welcome a new advertiser to Multicultural Kid Blogs whose products promote world cultures, travel, and diversity. Pack-n-Go readers tour haunted castles in Austria, catch thieves in Mexico, save dolphins and turtles in Brazil, search for lost golden temples in Thailand, and chase aliens in Australia. Written for kids ages 6 to 9, the series introduces them to five countries: Austria, Australia, Brazil, Mexico, and Thailand. But Pack-n-Go Girls is more than just a series of books. You can visit their website and discover additional resources, such as an Adventure Starter Kit, recipes, crafts, and more. You can even get your classrooms involved by getting their classroom adventure kits on Teachers Pay Teachers. We love the multicultural cast of characters! As countries around the world continue to become more diverse, it is great to find a book series that reflects that diversity so that our children can see themselves in the stories they read. It’s an important part of raising global citizens. 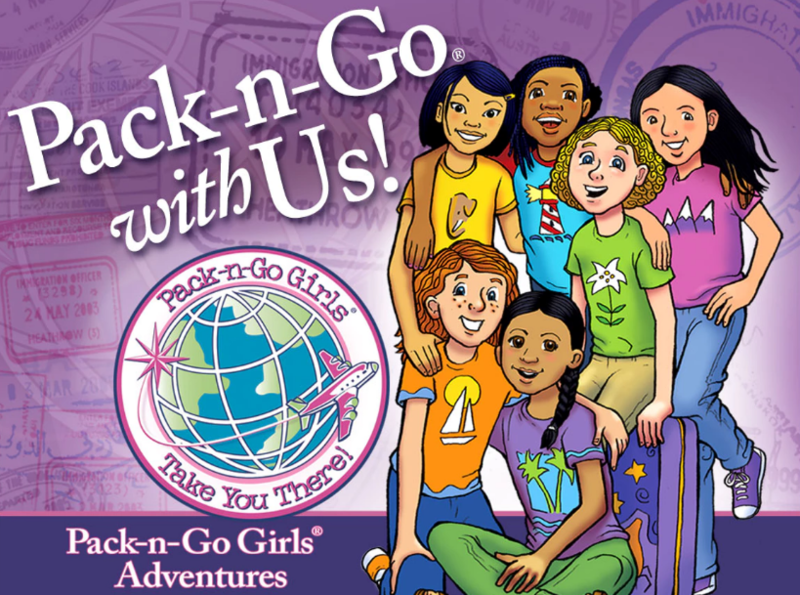 So if you’re looking for an excellent adventure series for your children or students, be sure to check out Pack-n-Go Girls Adventures!